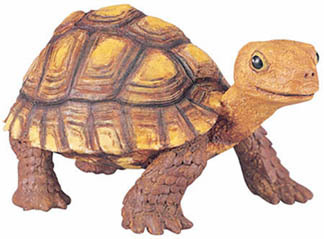 Whether you collect turtles or simply are amused by these intriguing reptiles, our tortoise makes both great gifts and toys. Made of hard plastic, 5 inches long. Ages 3 and up. Hand painted, safety tested, and phthalate free.